On the 500th anniversary of Luther's rebellion, this spectacular global history traces the revolutionary faith that shaped the modern world. Five hundred years ago Protestant Christianity began with one stubborn monk - today, it includes a billion people across the globe. The upheaval Martin Luther triggered inspired one of the most creative and destructive movements in human history. 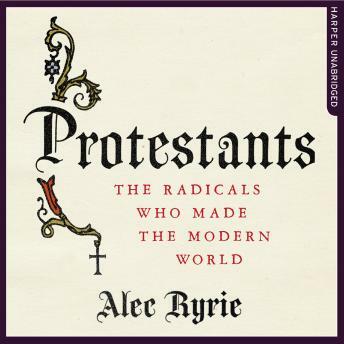 Protestants is the story of the men and women who made and remade this quarrelsome faith by demanding alarming new freedoms and experimenting in new systems of government. Inspired by their newly accessible Bibles, they transformed their inner lives, a transformation that spilled over into social upheavals and political revolutions. Alec Ryrie's dazzling history explores how its restless energy made and is still making the modern world.